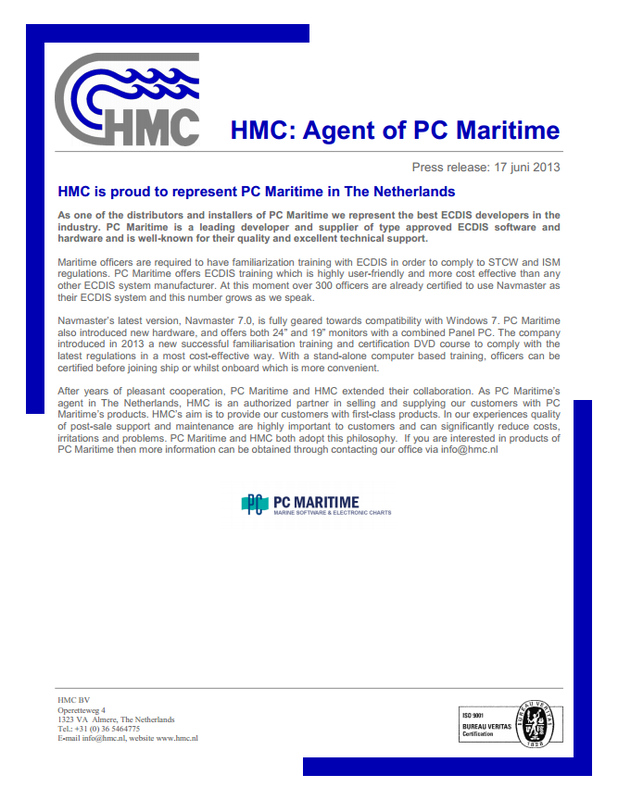 Being PC Maritime’s agent HMC is an authorized partner in selling and supplying our customers with Navmaster electronic chart systems. 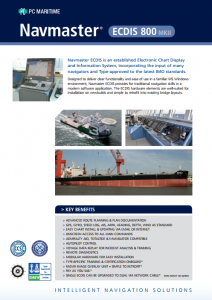 Navmaster ECDIS is a fully approved electronic chart display and information system. It is type approved and does not only comply with the revised performance standards (MSC232 (82)), but also meets the requirements of navigators who use it on a daily basis. Navmaster works with ARCS, ENCs CM-ENCs, Seafarer and C-Map93/3 charts. ..electronic chart display and information system..
– Navmaster ECS, an ECDIS based Navmaster software package, without type approval. – Navmaster Office, for operational and planning use within the office. 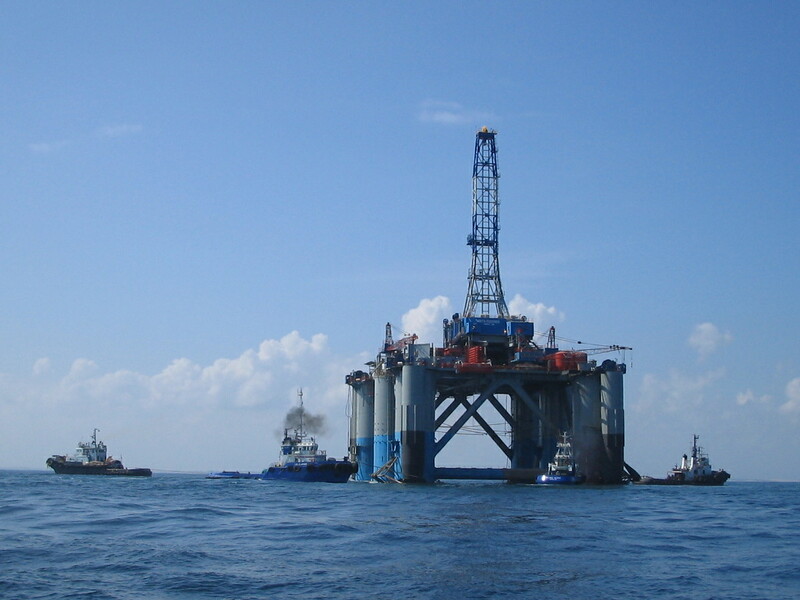 – Navmaster Training, for training purposes of crew and students. For more information on Navmaster electronic chart display systems, please contact us. ..advanced route planning & plan documentation..